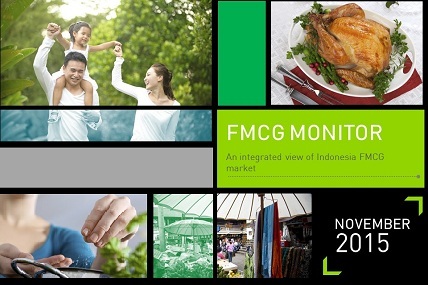 Year 2015 is close to end, yet Indonesia's FMCG industry is still unable to reach its healthy shape. Compared to October 2015, ID inflation in November 2015 decreased from 6.25% to 4.89%. The average rate for USD 1 is Rp 13,741,- in November 2015. FMCG trend continues showing negative trend in November 2015. Although FMCG’s value gaining positive growth, it is driven by increasing price per unit which is quite higher compared to last period (Q3 2015). MSG is still showing positive growth in value, volume, penetration and even in frequency – quite surprising as consumers are decreasing buying frequency for most other FMCG categories. Modern trade is enjoying positive value growth. On the other hand, traditional trades are undergoing slightly negative growth compared to same quarter a year ago. Different beverage categories, different top consumers age. Find out more about beverages top consumers’ age at 'Do You Know?' segment.